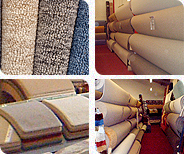 First Edition Carpets supplies a huge range of carpets and furniture at highly competitive prices. With massive flooring stocks available at all times, we’re sure to have the perfect carpet or flooring option to suit any taste and budget. To guarantee complete quality in all our stock, we hand-pick our suppliers and buy in bulk, passing the savings onto you. You can trust that our prices are worth celebrating. Based in Eastriggs, we supply to customers from the local area and throughout South West Scotland. For more information about our huge range of furniture and carpets, call us today.